Get out of bed before the humidity kicks in. Get the 20 something horses fed. Coastal, alfalfa, grain, supplements. Clean water troughs, fill water troughs. Coffee break. Muck and clean stalls and pens. More coffee…Get the kids ready for gymnastics class. Ryder almost four and Violet almost two. Check the schedule…then double check with my beautiful wife Amanda who runs the show. We have two rules in our marriage. I am in charge of all the horse training and she is in charge of everything else. Not too many lessons today, full day of training horses ahead. We just got two new horses over the weekend. One that lies down with the owner when it no longer wants to go and the other has a saddling and bucking issue. The Stevens family, Steve, Violet, Ryder and Amanda. Yep, you got it, that’s what we do. We have the noble and precarious job of training horses for the public and have full-time for the last ten years. We specialize in problem horses and colts. We are advocates for the horse and implement natural horsemanship techniques in all of our training. We work with owners to build their confidence and knowledge so they can go on living their dream with their horses. With this blog we have been given the opportunity to share with you the ups and downs, ins and outs of being a horse trainer, our endless search for optimal horsemanship and how we get through every wonderful, challenging day. We will hold no punches in the realities of our business and share our triumphs with each and every horse no matter how big or small. We are going to introduce you to the unique horses that come into training and tell you their stories. We will also share the experiences of our clients and what they are working on with their horses. We will discuss different scenarios from clinics and private lessons we put on. We are competing in the Colt Starting Challenge U.S.A competitions through the fall and will talk about the individual horses I get to meet and work with. We will also share some of the day in and day out struggles like working through three months of rain or working through three months of no rain. Texas always keeps us on our toes. I like to talk about the unique horsemen and horsewomen I get to meet along the way. 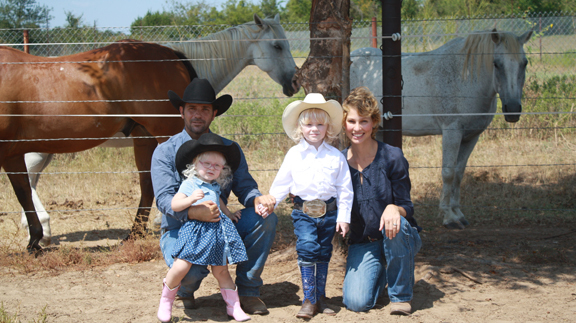 We would be honored to also share how Amanda recently defeated triple negative breast cancer and how the horses continue to help and guide her through her journey. We will celebrate and share with you our western heritage through every hoofbeat, wet saddle pad and wheelbarrow full of manure. We look forward to answering any of your questions and sharing our rides and adventures with y’all. 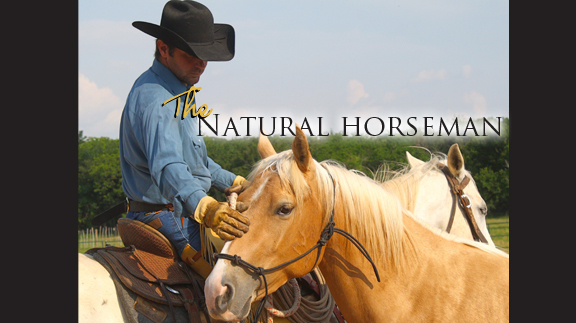 You can follow us on Facebook at Stevens Natural Horsemanship.